The Padrón 1964 Anniversary Series™ line was introduced in 1994 to commemorate our company's 30th anniversary. 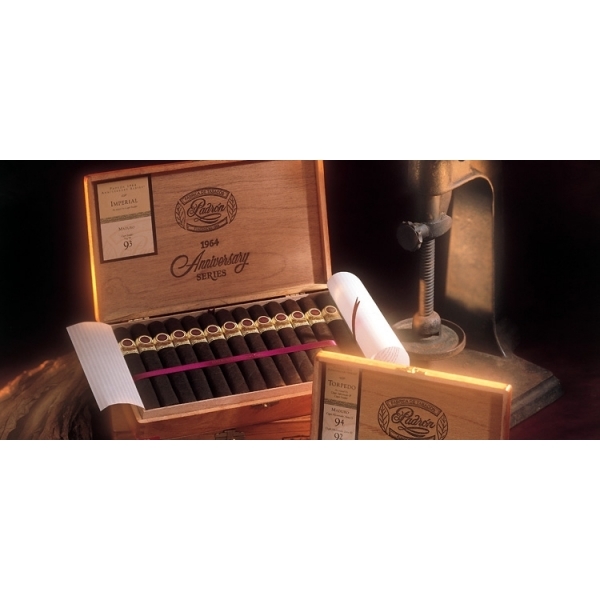 This line consists of ten sizes that are all available in sun-grown natural and maduro wrappers. 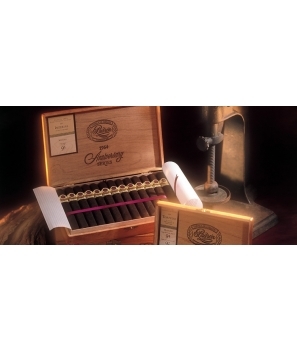 All tobacco used in this limited production series is aged for four years, creating a smooth and complex flavor. In honor of the age-old Cuban tradition of box - pressing cigars, the 1964 Anniversary line was introduced as a box-pressed series. For the protection of our customers we have introduced measures to safeguard against counterfeiting with a specially designed double band featuring an individually numbered guarantee label.